This self-paced five-week course is for new writers who want to start sending work out for publication. Whether you want to write micro fiction, prose poems, or verse, this course will tighten your work and even inspire you to write new stuff—with confidence. You’ll learn how to establish routine, and to write daily with discipline. There will be a heavy emphasis on hybrid forms. *end of course bonus* Unlike other courses you will receive personal feedback on up to ten pages of pre-existing writing, and a one on one manuscript consult with me to discuss your work, and of course ... publishing opportunities. "Chelene Knight's course made me feel much more confident in my writing. Before I was writing stories that, for the most part, I kept to myself. Now I know how to revise and add in the description and details that make a piece of writing publishable." "I feel incredibly lucky to have had this opportunity to work with Chelene—her unwavering encouragement and enthusiasm made me feel more confident about my writing and the structure of the course helped me develop a more consistent writing practice. I now feel like I have a foundation to build my writing practice on." "In write. polish. publish Chelene Knight introduced me to some incredibly helpful writing strategies from how to find gold in free writes, how to use objects to connect emotionally with readers, to writing hybrid forms and revising drafts. She was an enthusiastic instructor who made me feel comfortable about sharing my work. And her feedback on the assignments was insightful and supportive. Novice writers out there take this course, you won't be disappointed!" "I love how this course encouraged me to explore a different writing process. The revision technique suggestions worked really well for me. And Chelene's feedback was very honest and tailored to my own work. I'd highly recommend the course to anyone who is looking for a fresh perspective on writing." Writing and publishing are not based solely on craft or talent, there's a privilege involved. It's my goal to reach and support underrepresented writers and to give space to those voices that are often muted or silenced. Inclusivity, open-mindedness, creativity, and freedom to share stories are all values that I place at the forefront of everything I do. Words can change lives, and I am all about that! So I bet you are looking at the course title thinking “what the hell is she talking about?” Good. This course was designed for hungry writers. Those who will do whatever it takes to make their voices heard, their stories published. You don’t need an MFA to be a published writer. This is the misconception I hope my course will clear up for you. Having an MFA is an awesome accomplishment, but not all writers have access to such an option. I am one of those writers. This course is for newer writers who want to start sending work out for publication. Whether you write short short fiction, prose poems, or verse, this course will tighten your work and even inspire you to write new stuff—with confidence. Let’s bend genres. Let’s create new ones. You’ll learn how to establish routine, and to write daily with discipline. What makes this course stand out from the others is there will be a focus on confidence building and writing in a voice that’s unique to you. This will happen through student discussion and one on one time with me, your mentor! Do you write random poems or short stories, shove them in a drawer and forget about them? Do you feel like no one would want to read your work let alone publish it? Do you constantly tell yourself you are not a real writer? Are you one of those people who “don’t have time” to write? Let’s get real. Let’s get past those excuses. By any means necessary. I write because I have to. I can’t go one day without sharing a story, writing down a phrase I overheard on the bus, jotting down an interesting string of words, or working on one of ten projects I have on the go at any given time. People are constantly asking me how I do it. Sometimes it’s tough to know what to do with these fragments, how to put them together, and how to revise. Whether poetry or prose, my tips, techniques and writing prompts will have you itching to whip out that notebook, scratch out the bulk, and sculpt beautiful publishable work. In this self-paced, 5-week course you will learn how to generate good ideas, how to get excited about expanding on those ideas, and how and when to revise. You will learn how to combine all of those “fragments” into a solid piece of writing. You will learn using a combination of video, audio, checklists, written assignments, and discussion. You will also receive catered feedback on your work from your instructor. There's no wasting time in this course. We will jump right into writing using various exercises and prompts that I have used for most of my own writing. You will construct a writer's toolbox from scratch, and use it daily. 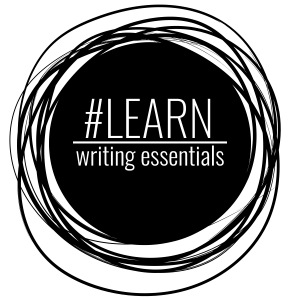 Using our private #LearnWritingEssentials workspace, we will discuss new writing and old writing. We will latch on to process and share insights. With this we will have established a #LWE community which will live on (as you will still be a part of the community) after the course ends. The best writing is in the revision. This is probably why I love this process so much. Learn revision in five steps. This is a game-changer for most writers. The best writing is in the revision. Write that down. During the final week you will not only meet one on one with me to go over your work and any other writerly questions you may have, but you will receive custom substantive feedback on up to ten pages of your work in any genre. Chelene Knight lives and writes in Vancouver. She has published essays in the Globe and Mail, The Toronto Star, and in various Canadian and American literary magazines. Chelene’s work appears in many anthologies including Making Room (Room magazine), Love Me True (Caitlin Press), Sustenance (Anvil Press), The Summer Book (Mother Tongue Publishing), and Black Writers Matter (University of Regina Press). Chelene is currently the managing editor at Room magazine, the Programming Director for the Growing Room Festival, and CEO of #LearnWritingEssentials. Chelene has been a judge for many writing contests and literary prizes such as the BC Book Prizes, and the Vancouver Writer’s Festival’s annual writing contest. Braided Skin, her first book (Mother Tongue Publishing, March 2015), has given birth to numerous writing projects including her second book, memoir, Dear Current Occupant (Book*hug, 2018) which was the winner of the 2018 Vancouver Book Award. Chelene is currently working on a novel set in Vancouver’s Hogan’s Alley. Junie is forthcoming with Book*hug in 2020.
, and CEO of #LearnWritingEssentials. Chelene has been a judge for many writing contests and\nliterary prizes such as the BC Book Prizes, and the Vancouver Writer’s\nFestival’s annual writing contest. Braided Skin, her first book (Mother Tongue Publishing, March 2015), has given birth to numerous writing projects\nincluding her second book, memoir, Dear Current Occupant (Book*hug, 2018) which was the winner of the 2018\nVancouver Book Award. Chelene is currently working\non a novel set in Vancouver’s Hogan’s Alley. Junie is forthcoming with\nBook*hug in 2020.